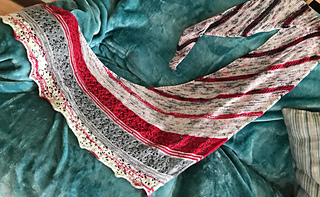 This shawl is not so much a pattern as a starting point or recipe. You can follow it just as it is written, or if you are feeling adventurous you can play around with it. It is perfect for using up those precious leftovers of a favourite yarn that you just can’t bear to throw away, but don’t know what to make with them. 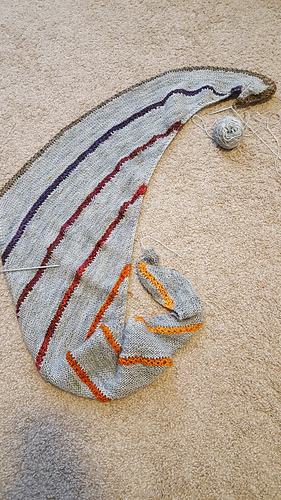 If you have lots of little balls of leftovers, make each stripe a different colour – create a rainbow! If you have odd balls of yarn you want to use up on the garter st sections feel free to swap those around too. 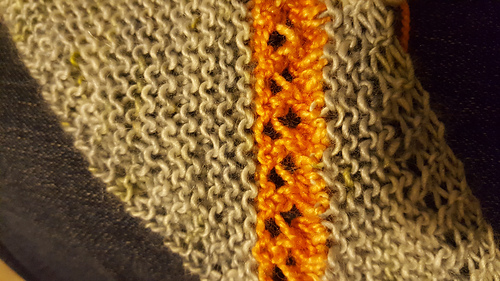 If you have larger balls leftover use those, make the three lace sections at the end mini Gradiance sections or do all three in the same colour. Whatever works for YOUR leftovers. For my sample I used a skein of speckled yarn specially dyed for me by The Unique Sheep to match the Gradiance set that I used for my last Mystery KAL Snow White. If you have some special leftovers that you would like them to match. I am sure they would be delighted to try. 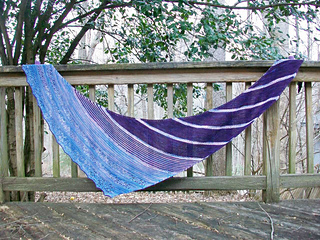 I then used the remaining yarn from my sample for Snow White, plus 2 mini skeins I had in the stash (both 20g in size). 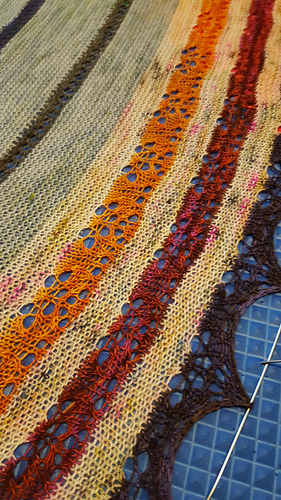 As I say you will need about 15g of yarn for each of the lace sections at the end of the shawl. In this instance especially to Carolyn, for coming up with the idea of the tables to make it easy to follow where you are in the pattern.